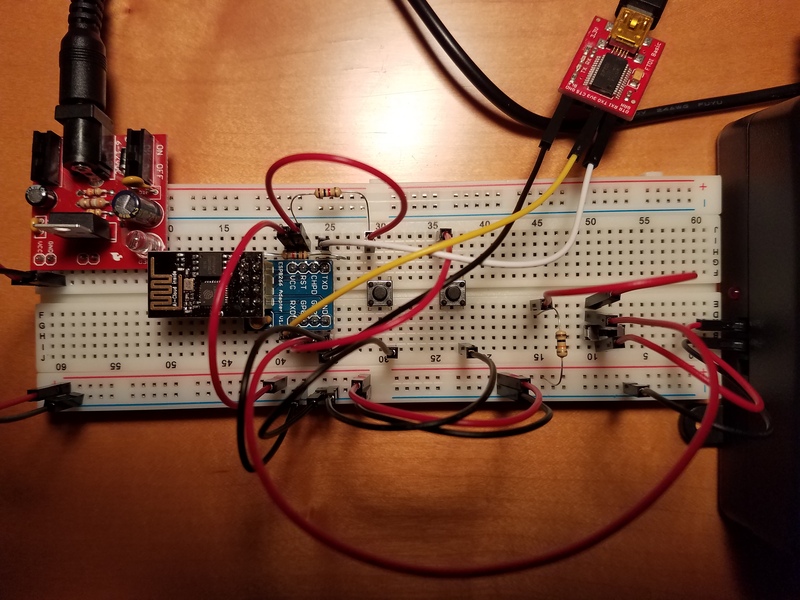 Use Alexa to voice control a relay connected to the Internet via ESP8266-01. Any 3.3v power source will work. Optional* Makes working with ESP8266 and breadboard much easier. I wanted to build a voice controlled smart outlet that was cheap and that didn't require an existing smart home infrastructure (i.e. SmartThings or HomeKit). There are probably cheaper ways of doing this but I had an unused Power Tail and an ESP8266. 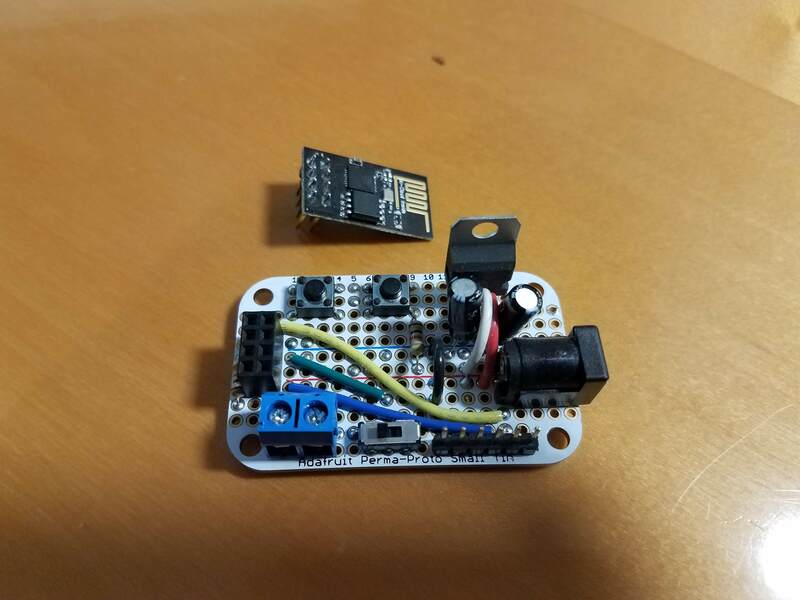 This project can be adapted to drive any digital IO pin using Alexa and covers the integration of Alexa, IFTTT and Adafruit.IO. *The spdt slide switch is used to manually override the load connected to GPIO2 and to prevent voltage fluctuations while the ESP8266 boots. GPIO2 must be pulled high to 3.3v while the ESP8266 boots. During the boot process GPIO2's voltage fluctuates between 1v and 3.3v. This behavior caused the relay in my "Power Tail" device to switch on and off rapidly and resulted in the ESP8266 crashing. The spdt switch must be in the off position until the ESP8266 boot process completes. Repeat the process of setting up an additional applet to turn you device on. Use 'my switch on' for the Alexa trigger phrase and type '1' for the data to be saved to the Adafruit IO feed. Hopefully at this point everything works. If not please let me know and I'll help where I can. This diagram shows how to connect the ESP8266 to a regulated 3.3v power source and to an FTDI programmer. The Red LED represents whatever you want to drive with a 3.3v digital pin. Example of a more permanent build. #define AIO_KEY         "<your aio key>"
If you would rather use micropython instead of Arduino firmware, use this code. #   set MQTTClient initializer parameter to "ssl=True"
I figure out how things work.